Touristico Radio has a Belgian interview with Joe McElderry in London. Touristico radio had the first interview with Joe McElderry, the winner of x-factor 2009 and winner of the contest: from popstar till operastar. He made 3 CDs: wide awake, Classic and Classic christmas. He also won the Touristico hit 2010 with AMBITIONS. 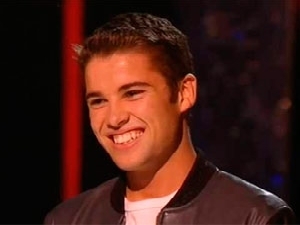 Joe McElderry is one of the greatest talents from the UK. In 2009 he won X-factor and his First single The Climb was a great success. He was the best selling artist in the UK in 2009 en sold more then 100.000 copies of his First CD Wide Awake. On this cd u found great songs as Ambitions and Someone wake me up. He also song one of the tracks from the movie The Chronicles of Narnia: The Voyage of the Dawn Treader. In 2011 he was one of the candidates of the competition from popstar till operastar. Everyone was surprised about his voice and talent and he won the competition with more then 77 procent of the votes. His second CD Classic is made by Decca Records and has wonderful songs as Time to say goodbye, Solitaire, Dance with my father and Nessun Dorma. More then 200.000 copies are already sold. The 28th of November is the release of his 3rd CD: Classic Christmas. The First single Last Christmas reaches the highest places in the UK charts. In July 2010 Joe announced that he is gay. He is a role model for many younger gays and won an award in the UK for it. He also runs half-marathons for the children cancer trust. Touristico radio promotes this young and wonderful singer already for 2 years. During the Joe McElderry Days fans from whole the World could bring their greetings to Joe. They were from the UK, US, Germany, Belgium, Holland,%u2026.. In 2010 Joe won the Touristico hit 2010 with his song ambitions. Touristico radio got the invitation from the management for the concert of Joe in London and the First Belgian interview. It was a splendid concert and a spontaneous interview with Joe. He talked about his life as a famous artist, his Music, what Christmas means for him, how important the fans are. But he talks also about his life as a gay, his future in Music, if he ever goes to the Eurovision song contest for the UK and so much more. Listen to the interview i had with him!